The wedge shape from the Mambo Max Sitting Wedge encourages a proper posture and alignment while sitting at a desk or table. The wedge shape from the Mambo Max Sitting Wedge encourages a proper posture and alignment while sitting at a desk or table. 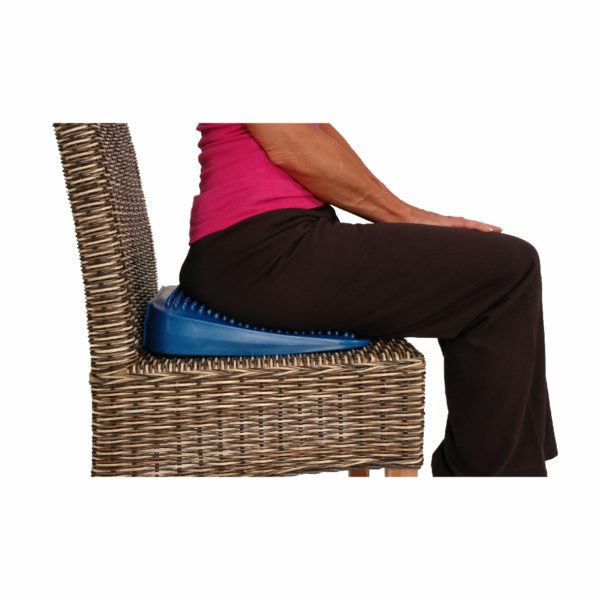 It is an inflatable, dynamic cushion that activates intrinsic trunk muscles to support the spine. The Mambo Max Sitting Wedge can be used as a back support. The PVC surface of the Mambo Max Sensair Cushion cleans easily with soap and water. Faster blaster pump included.